Google Wallet may not be the center for phone-based payments as it once was, but it’s still a great way to exchange money between friends. 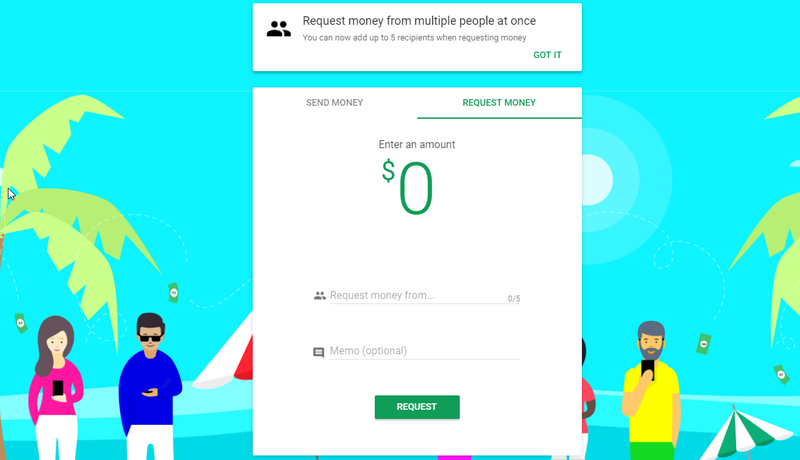 The quick and easy interface is great for sending and requesting funds, and Google is now adding a new feature to make requesting cash a bit quicker and easier. Google Wallet — at least on the web — now supports the ability to request money from up to 5 different users at once (via Android Police). Simply head over to wallet.google.com and you can easily add five different contacts to the request field. From there, simply type in the amount of money you’re requesting from that group, and each user will receive a request for that total. This is something that would come in handy perhaps when buying tickets for a movie or concert, splitting the cost of a trip, or even a shared bill from dinner. Obviously, this isn’t a change that’s going to come in handy on a super regular basis, but I can easily see where this would be useful. This isn’t live on any of the Google Wallet mobile apps just yet, but you can do it through the website. Presumably, it will make its way to mobile in the coming weeks.